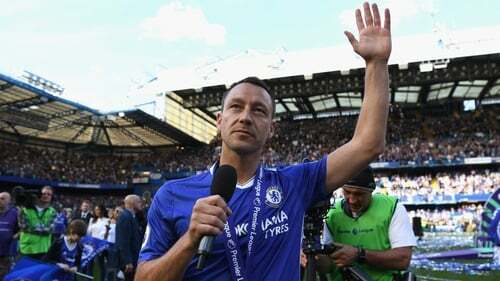 Maurizio Sarri is open to the idea of former captain John Terry joining the Chelsea coaching staff. "The last time I spoke with him he told me that he wants to play for another season," said head coach Sarri, speaking ahead of Saturday's clash with Cardiff, when Chelsea will be targeting a fifth win from five Premier League games. "I don't know now the situation. I'm talking about one week ago. Chelsea is his home, of course." Asked about the prospect of Terry returning, Sarri added: "I don't know. He told me another thing. He told me he wants to play. I don't know. I have to speak to him. "For sure he will be a point of reference for me, for everybody here [if he returned]. Chelsea's perfect start to the season has led to suggestions they can challenge for the title after placing fifth last term, well adrift of champions Manchester City. Asked which teams are in title contention, Sarri said: "At the moment I can answer City or Liverpool, at the moment.